LAKE PLACID, N.Y. – Members of the 1980 United States Hockey Team marking the 35th anniversary of their historic win in Lake Placid by hosting a “Miracle on Ice” Fantasy Camp March 29-April 2, 2015. All on-ice activities will take place on the 1980 Rink Herb Brooks Arena, managed by the Olympic Regional Development Authority (ORDA) in Lake Placid. This opportunity is limited to the first 68 individuals (age 21 and over) to register and join members of a team that created, in the words of Sports Illustrated magazine, the “sports event of the century.” These fantasy camp attendees will skate with, be coached by, and receive instruction from the likes of Eruzione, Neal Broten, Dave Christian, John Harrington, Steve Janaszak, Ken Morrow, Mike Ramsey and Buzz Schneider. In addition to hockey instruction and games, attendees will be treated like gold. Fantasy campers will be picked up at Albany (N.Y.) International Airport and transported to and from Lake Placid via motor coach. They will spend four nights at the High Peaks Resort, enjoy dining, socialize with the 1980 players, receive a gift bag including practice and home and away replica 1980 USA Hockey game jerseys, hockey helmet, gloves, socks, pants, camp apparel, souvenir autographed hockey stick and a framed autographed photo of each participant and their team with the 1980 Hockey Players. Participants will also receive a camp highlight video and be a part of those “inside” stories that may not have been told over the past 35 years. One of the most beloved sports teams in history, members are returning to the site of their historic achievement where they defeated the Soviet Union and Finland and shocked the world en route to that improbable gold and Lake Placid glory. 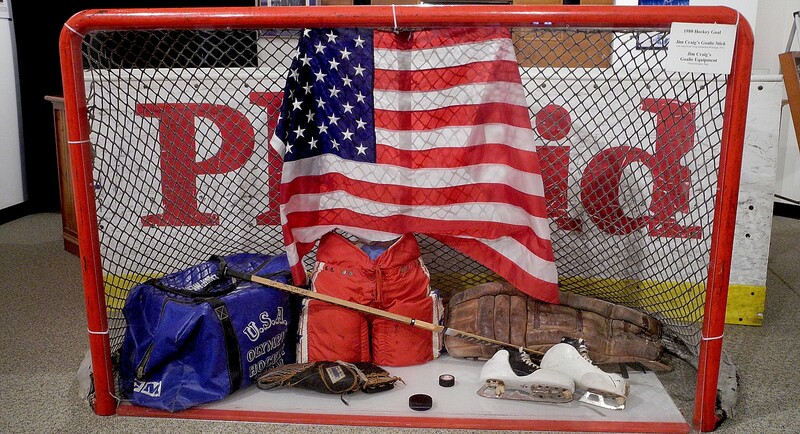 To learn more about the Miracle on Ice Fantasy Camp visit www.MiracleonIceFantasyCamp.com. Follow the camp on Twitter, @1980HockeyCamp and on Facebook, MiracleonIceFantasyCamp. This entry was posted on November 26, 2014 at 7:44 pm and is filed under fantasy camp, sports travel, winter travel. You can follow any responses to this entry through the RSS 2.0 feed. You can leave a response, or trackback from your own site.